Falls Park on the Reedy is Greenville's most well-recognized landmark. Right in the heart of downtown, this park offers many options for families, kids, and pets. 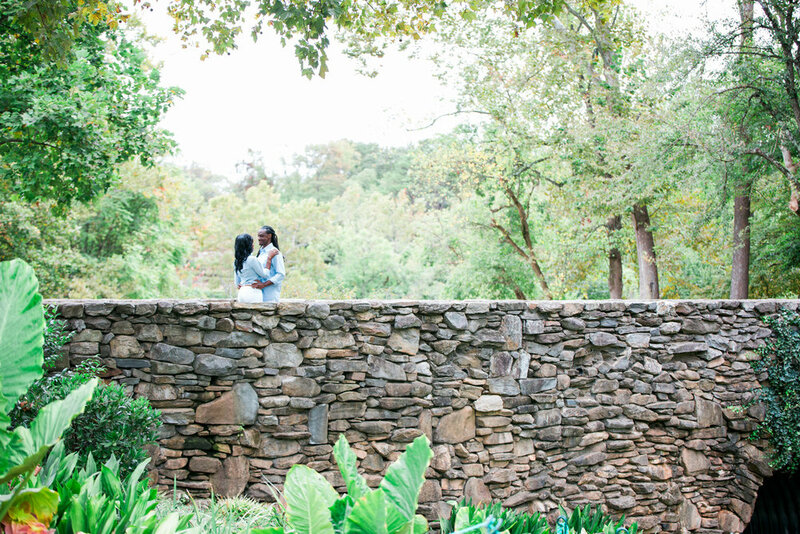 For a photographer, it gives plenty of variety even with its hundred of visitors-- its lush greenery, sleek design of Liberty Bridge, and hidden nooks throughout. Megan and Alonso took their engagement photos at Falls Park. With plenty of style and class between the two of them, they showed off their love for each other and their alma maters. We had a great session that morning. Enjoyed these photos and like what you see? I would love to work with you to make your engagement a prelude to the fun you'll have on your wedding day! Let's get your date secured on my calendar fast though, as there is limited availability.